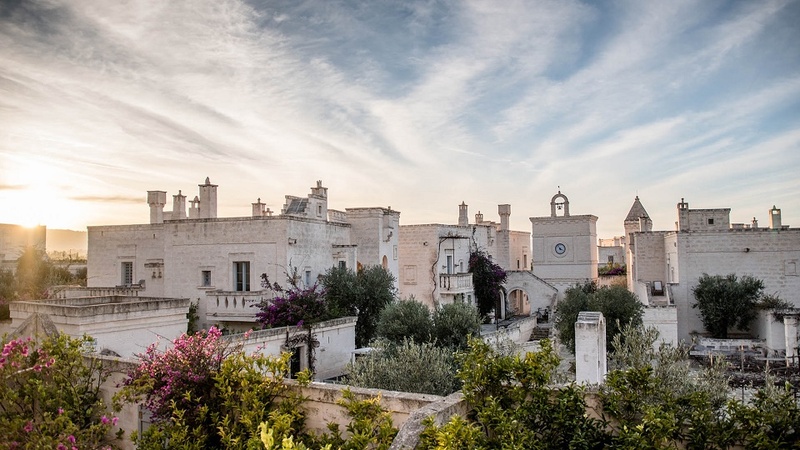 Borgo Egnazia is located in Savelletri di Fasano, where the hills of the Itria Valley gently fall away to the Adriatic sea, and the property itself is inspired by a typical Puglian village. This authenticity was conceived to bring a fresh and original feel that is found ‘nowhere else’, alongside impeccable service. A miniature world of homemade breakfasts prepared by Puglian “Massaie”, the revolutionary Vair spa, a temple dedicated to the care of body and soul, two beautiful private beaches and the scenic San Domenico Golf surrounded by ancient olive trees with views that stretch to the sea. And then there’s the service; tailored, friendly and caring, a dedicated team always available to guests, and the gastronomic offers, also inspired by local tradition, divided into six restaurants. Finally, and quite simply, there is the incomparable beauty of the Puglian countryside.